Historical parish registers give important genealogical information including details of baptisms, marriages and burials within parishes. Although some church records, both Church of Ireland and Roman Catholic, were lost in the Four Courts fire of 1922, many registers had been retained in the individual parishes at that time and therefore survived. 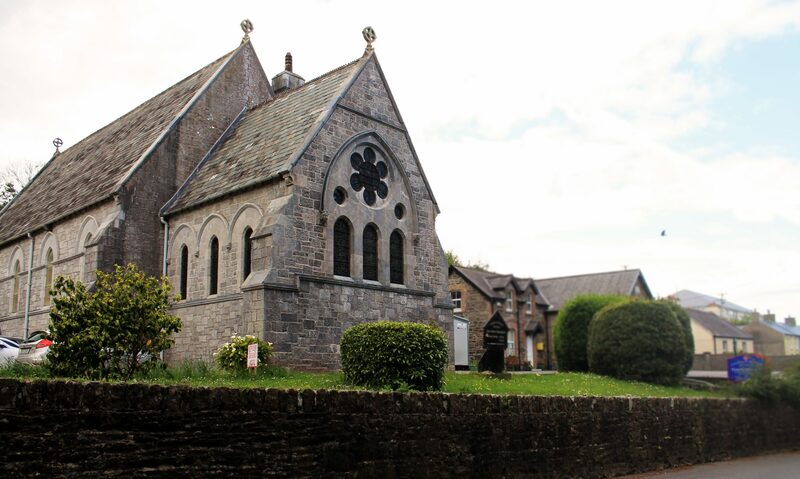 With the permission of the Rector, Tracton Genealogy and Local History Group has transcribed the surviving parish records for the Templebreedy Group of Parishes, which are still kept within the parish. The parish acknowledges the permission of the Director of the National Archives to publish the content of this material up to 1870. The parish further acknowledges the permission of the RCB Library to publish the content after 1870. Should you require any assistance in researching your family history locally, please email Tracton Genealogy and Local History Group at genealogy@tracton.org for advice. The boundaries of the Church of Ireland parishes originally mirrored the civil parishes which were, in turn, based on the medieval Christian parishes, adapted by the English administration. Over time, as populations fell, parishes were amalgamated and united. The Church of Ireland Parish of Ballyfeard became part of Nohoval Parish in 1873. The Parish of Kilmonogue was also absorbed into Nohoval Parish, as was Tracton Parish on the closure of its church in 1989. Templebreedy Parish was a medieval Christian Parish. The parish church (Temple of Bridget) and ancient graveyard were in the townland of Templebreedy, overlooking the sea. The church fell into ruin and in 1779, a new church, dedicated to St. Matthew, was built by the Church of Ireland on the same site. The ruin of this church, with its impressive spire, still stands on the hill overlooking the village of Crosshaven. In 1868, as St. Matthew’s church was too small to hold the congregation, a new church was built in Crosshaven. This is the current parish church and is dedicated to the Holy Trinity. The Church of Ireland parish and the graveyard still retain the name Templebrady or Templebreedy. The Parish of Cullen was briefly part of Templebreedy Parish in the mid nineteenth century. In modern times, Templebreedy Parish and Nohoval Parish have been united, to form the Templebreedy Group of Parishes. In addition to recording the usual baptisms, marriages and burials within a parish, some priests kept records of ‘churchings’. Churching refers to a blessing that mothers were given following recovery from childbirth. An interesting entry in the Vestry Book of the Parish of Nohoval records Protestant inhabitants of the parishes of Ballyfeard, Nohoval, Kilmonogue and Cullen in 1833 ‘’in obedience of an order from the House of Commons’ by William R Townsend, Curate.